The original Artworks was founded in 2005 as the "Art Factory," as a venue to showcase the talents of local and regional artists who were inspired by both the Inner Banks and Outer Banks surrounding communities. Blossoming into an expansive space where artists could both work and share their ideas, for the first four years, the gallery celebrated the concept of the "simple box," where all artwork created in the gallery was composed on wrapped canvases or boxed panels. Today, the gallery showcases all mediums of local and regional art, all contained within its expansive and altogether expansively modern downtown space. An art lover's dream, the gallery features over 70 artists, in addition to regularevening or late afternoon shows which showcase the talents of one or more of the gallery's notable contributors. 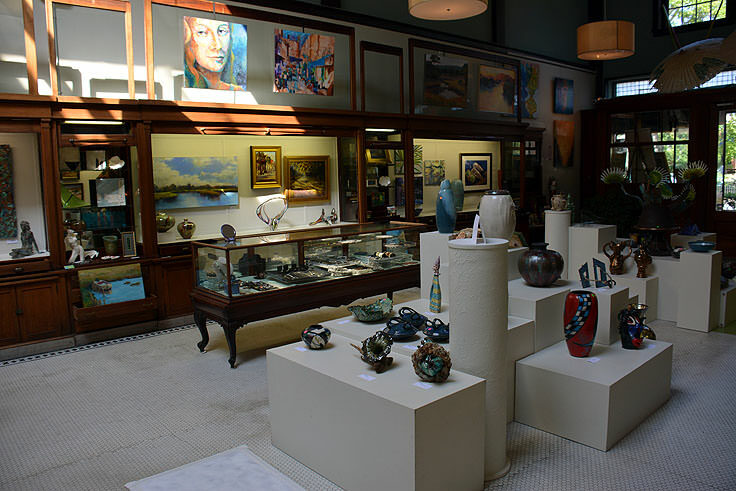 The gallery hosts regular art shows and exhibits, with artist receptions, and a complete schedule of events can be found online. Talented artists-in-training can also sign up for the regular "Vino and Picasso" events, a fantastic opportunity to get together with friends and create a personalized masterpiece under the instruction of a gifted instructor, complete with a little brown-bagged wine to help get the creative juices flowing. Special shows and exhibits, in addition to Vino and Picasso nights are posted well in advance, and the gallery is open Monday through Friday, 10:00 a.m. until 6:00 p.m., and Saturdays from 10:00 am. until 5:00 p.m. 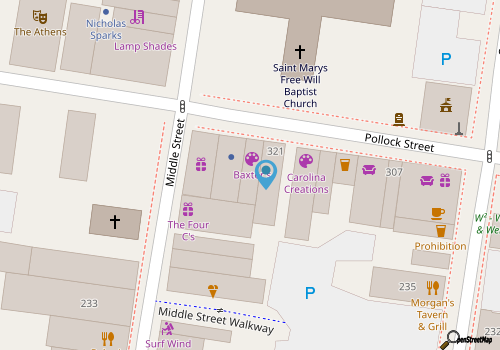 Loved by both art enthusiasts and everyday downtown visitors alike, the art collections at Baxters Gallery are a truly inspiring way to delve into the New Bern art scene. 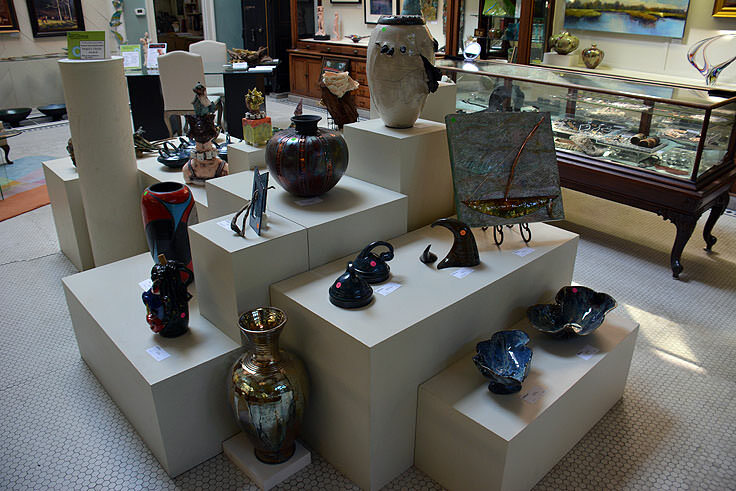 With a rotating collection and plenty of coastal North Carolina-inspired pieces, a tour through this downtown staple will make any visitor fall in love with the local and regional talents on display in the Inner Banks.